After that lovely kids room in Gothenburg I shared on Tuesday, I had to dig up this article from 2015. 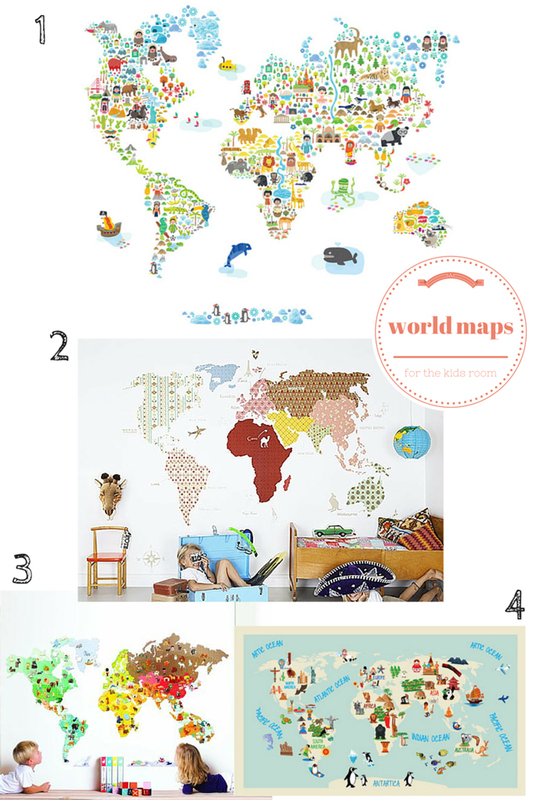 A selection of some lovely world maps for the kids room. The world with all its different cultures is just fascinating and with these fun maps you can bring it a little closer. 1. Fun reusable Vintage that also exist in a HUGE size. 2. Wall panel that looks like vintage wallpapers have been used. Very pretty and also available with a white background. 3. Large wall sticker in bright, vibrant colours. Includes 101 separate magnets which you can stick onto the world mural again and again. 4. 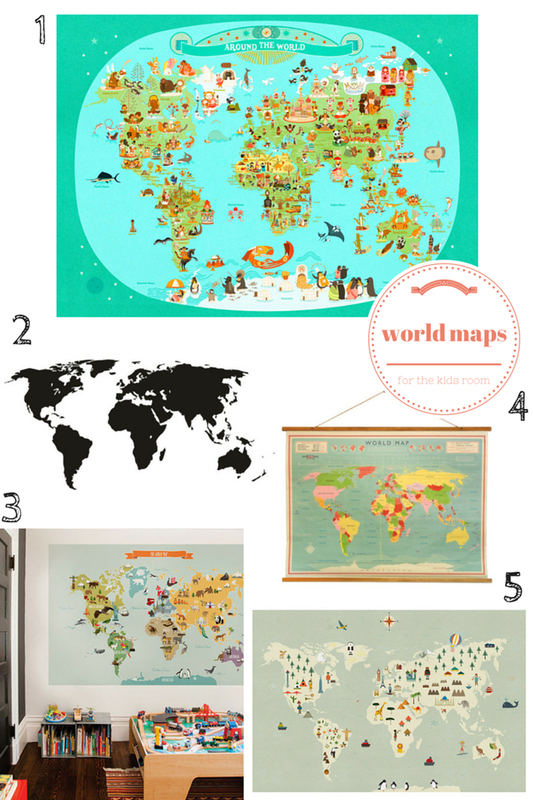 Big removable & reusable world map in muted colours. 1. Beautiful “Himaco” poster by Julie Mercier. 2. For the purist a black/white option. 3. Himaco*. Notable animals and landmarks are represented on each of the continents. 4. Vintage school world map. 5. Big and very beautiful Himaco. Wall sticker from Mimi Lou* with animals for each continent. Cotton world map from Rose and April*. Now, never forget: The world is your oyster! Updated article. Latest: March 2019.